Build community and create engaging conversations in your classroom with this wonderful read-aloud. Fish in a Tree, by Lynda Mullaly Hunt, is a powerful novel that should be shared with your class. The main character, Ally, will resonate with many students. These questions will help you start some important discussions in your classroom as you read aloud. There are 4-6 questions for each chapter. 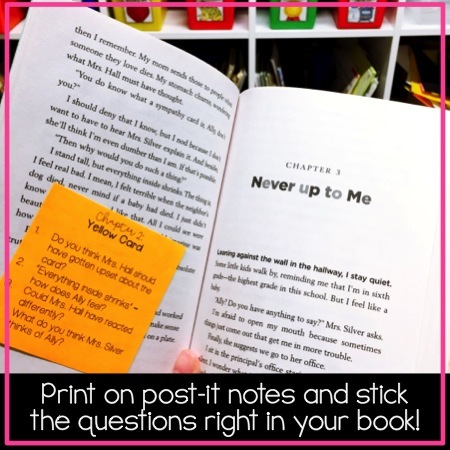 Each set of questions can be printed on post-it notes and stuck right into the novel to save you time! Fish in a Tree is a wonderful novel that can lead to lively classroom discussions with your students. 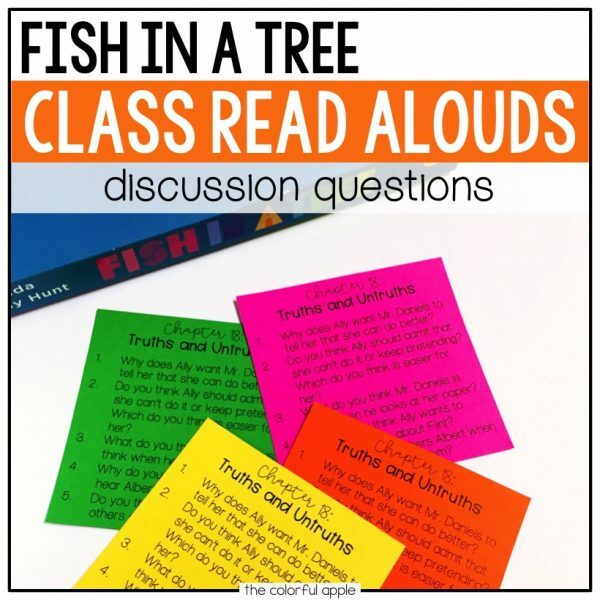 Read Aloud Discussion questions will help you get the conversations started after you read each chapter aloud. These questions are NOT meant for students to answer on their own. They are to be thought about and discussed in partners, groups or as a whole class. These questions are NOT meant to be a comprehension check or used as a written response. They are thought-provoking and interactive. The questions do not have right or wrong answers. They are written to incite conversation and debate amongst your students, as you guide them. 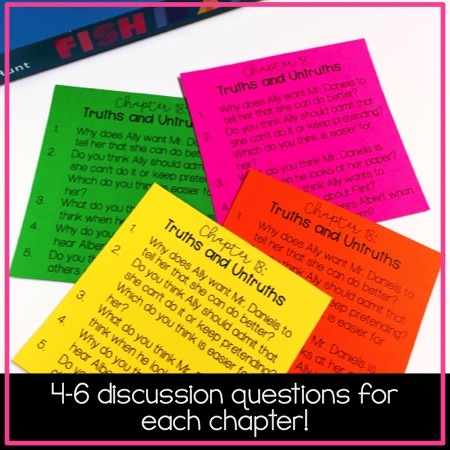 There are templates for you to print the questions out on post-it notes, making it easy for you to stick each set of questions right in the book!